“Vineyard Wind is proud to be selected to lead the new Massachusetts offshore wind industry into the future,” said Lars Thaaning Pedersen, CEO of Vineyard Wind. Vineyard Wind, which seeks to build the first large-scale offshore wind farm in the United States, released the following statement in response to the announcement by the Massachusetts Electric Distribution Companies (EDCs) that the company's proposed 800 megawatt (MW) wind farm and electricity transmission project will advance as a preferred solution in the Massachusetts Green Communities Act Section 83C RFP for offshore wind energy projects. “Today's announcement reflects the strong commitment to clean energy by Governor Baker and the Massachusetts Legislature. We are grateful for the time and commitment shown by many stakeholders, including Secretary of Energy and Environmental Affairs Matthew Beaton and Massachusetts Department of Energy Resources Commissioner Judith Judson. All parties successfully guided the state's electric distribution companies in carrying forth the requirements of a clean energy law that assures significant benefits for every resident in Massachusetts. Vineyard Wind is a joint venture of Avangrid Renewables, a subsidiary of AVANGRID Inc. which is majority owned by Iberdrola S.A., and Copenhagen Infrastructure Partners (CIP) each of which own 50 percent of Vineyard Wind. “Vineyard Wind's partners are eager to deliver an offshore wind project that will provide the Commonwealth with abundant clean energy resources for decades to come,” said Laura Beane, president and CEO of Avangrid Renewables. “Today's announcement serves to further illustrate the AVANGRID companies' commitment to deliver value and opportunity in a region that is determined to address complex energy challenges through significant investments in clean energy infrastructure. “The Vineyard Wind team is honored to be chosen to provide clean wind energy for communities across Massachusetts,” said Torsten Lodberg Smed, senior partner of Copenhagen Infrastructure Partners. Vineyard Wind is the only offshore wind farm developer to begin both the state and federal permitting processes by filing an Environmental Notification Form (ENF) and Construction and Operations plan in December 2017. Vineyard Wind's early timeline was designed to maximize the abundant environmental, economic and energy benefits associated with utility-scale wind energy for Bay State residents and businesses. Vineyard Wind will continue to refine the project design and approach as it receives additional comments from regulators and stakeholders. Vineyard Wind received a significant volume of substantive and productive comments from the fishing industry, residents on Cape Cod and the Islands, environmental organizations, as well as regional economic and community-based stakeholders, during the initial ENF comment period. With passage of An Act to Promote Energy Diversity in 2016, Massachusetts required the state's EDCs to procure 1,600 megawatts (MW) of clean, offshore wind energy within the next decade, resulting in intense competition among offshore wind lease holders for long-term contracts with utilities in Massachusetts. The addition of 1,600 MW of low-carbon wind generation capacity will provide enough clean, homegrown energy to power the equivalent of more than 750,000 Massachusetts homes every year. 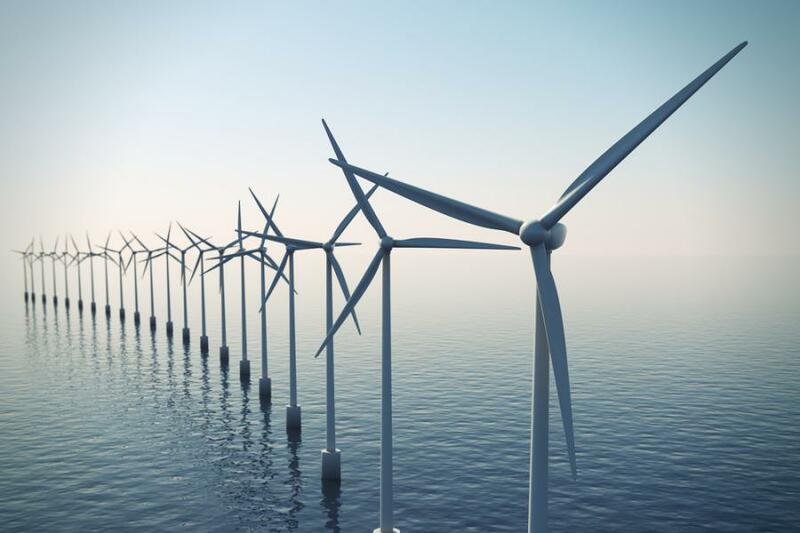 Vineyard Wind recently took another significant step in its effort to build the first large-scale offshore wind farm in the United States by submitting the project's Draft Environmental Impact Report (DEIR) with state regulators. The filing advances the company's proposal to construct an 800-megawatt (MW) wind farm 15 mi. south of Martha's Vineyard while maintaining Vineyard Wind's early timetable to begin construction in 2019 and become operational by 2021. When completed, the Vineyard Wind project will reduce Massachusetts' carbon emissions by more than 1.6 million tons per year, the equivalent of removing 325,000 cars from state roads. Vineyard Wind's proposal committed $15 million to three initiatives designed to make Massachusetts the center of the American offshore wind industry. The commitment includes a $10 million Wind Accelerator Fund to accelerate the development of an offshore wind supply chain, businesses, and infrastructure in the Bay State by attracting investments to upgrade or create necessary facilities and/or infrastructure. The $2 million Windward Workforce program will recruit, mentor and train residents of Massachusetts, particularly southeast Massachusetts, Cape Cod and the Islands, for careers in the Commonwealth's new offshore wind as part of an effort to build a skilled offshore wind workforce centered in southeastern Massachusetts. The $3 million Marine Mammals and Wind Fund will fund development and demonstration of innovative methods and technologies to enhance protections for marine mammals as the offshore wind industry continues to grow.